Long Beach really is an amazing place to practice architecture. 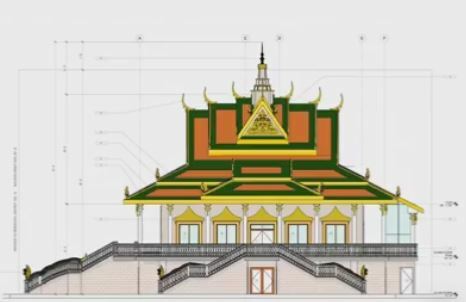 Where else but this eclectic little city would we have the opportunity to recreate an authentic Cambodian “Wat” for the Khemara Buddhikarama Temple at 2100 E. Willow Street. Chad Sterud here in the office has created these beautiful Naga sketches, these are always a traditional component of the stairways.